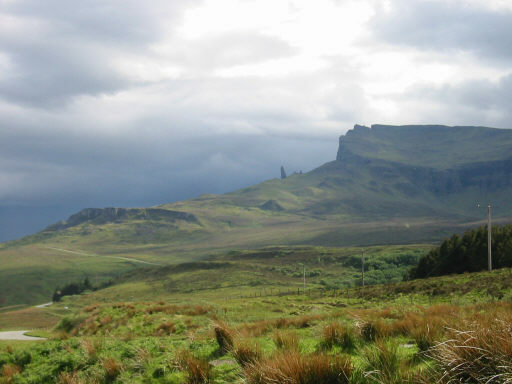 The Isle of Skye is a lovely island situated in the north-western part of Scotland. 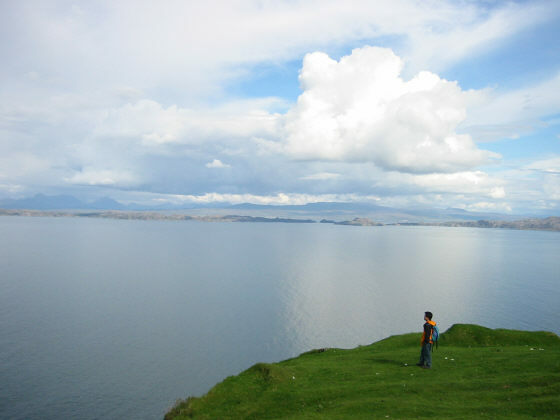 The coastline of its northern part (called Trotternish) is extremely beautiful and attractive. We visited there in May, which is actually not an ideal month for good weather. (The best months should be July to Sept, as said by the local people). How to go to Skye? First, you need to go to Glasgow of Scotland. Then I would suggest you to take a train from Glasgow to Mallaig. The train ticket may be a bit expensive, but this rail route is full of spectacular mountain scenery in good weather. After arriving at Mallaig, immediately take the ferry to Armadale. It is a 30-min ferry trip. After reaching the Armadale pier, take the bus (Citylink company) to Portree where you should be based (at least for the first night). Don't rely too much on the public transport in Skye. 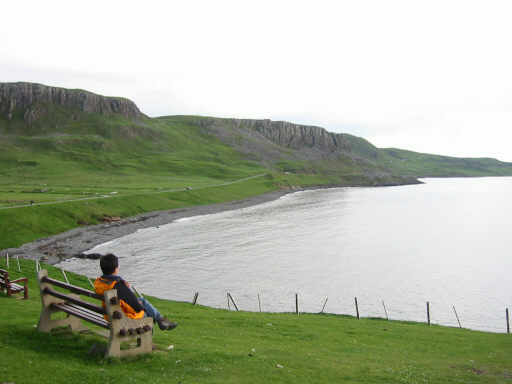 There is no public transport running in the northern part of Skye. Hitching is not practical. 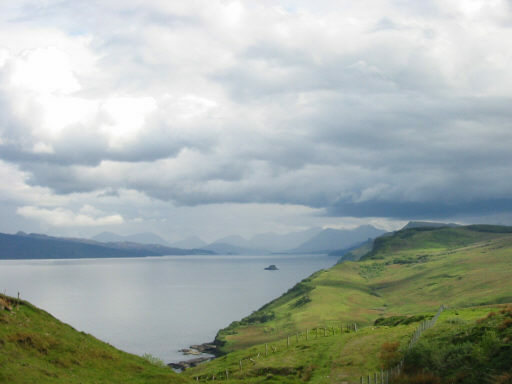 The ideal way is to hire a car in Portree (assume that any of you can drive a car). There is a tourist information centre in Portree. 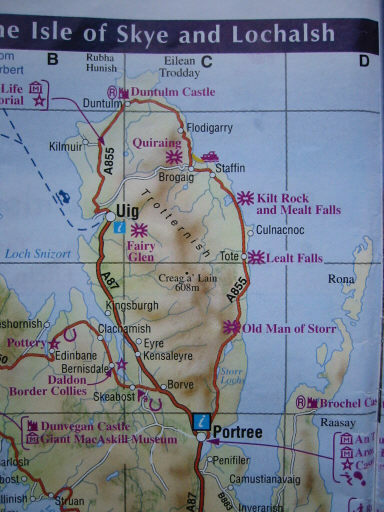 We had a one-day round trip around the northern part "Trotternish" of Skye (see map). We started from Portree and travelled along the east coast first. 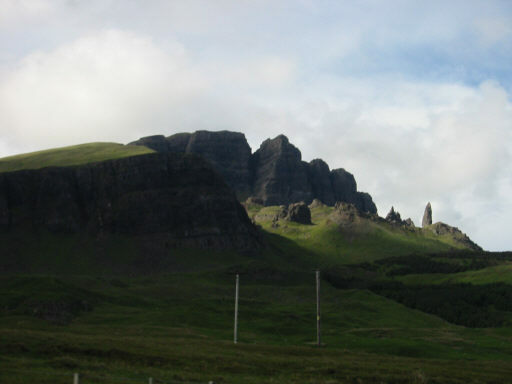 The Old Man of Storr is a natural scenery. You will not miss this huge rock collection. 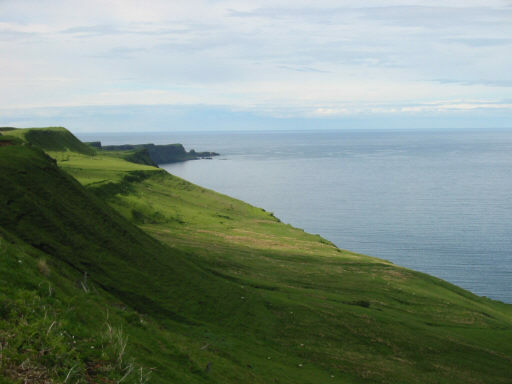 The eastern coastline of Trotternish is very attractive. There are a number of carparks all along the driving route. Don't hesitate to stop your car and walk nearest the coast. You may discover some unbeaten postcard views (in good weather). The feel is very good. Listening to the sea, the bird's whisper... You would have a peace of mind. 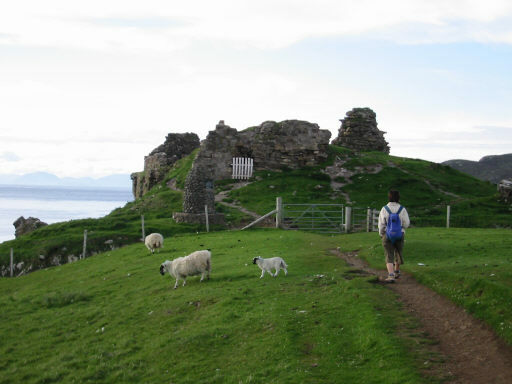 Duntulm Castle is a broken castle. But the views around the castle is still great. There are some lovely sheeps around the Castle. Afterwards we drove along the western coast of Trottenish. 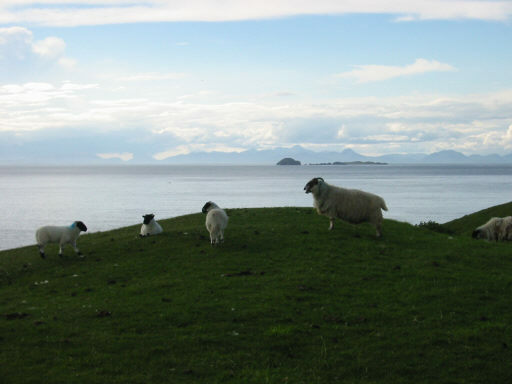 (During this car journey, we notice that there are quite a lot of Bed & Breakfast accommodation along the coast. Some of them should be very nice, with complete sea view in front of the houses. We don't know how to book these accommodations. But you can walk in and ask. Some of them will show a notice board outside the house, telling you whether they have any vacancy). 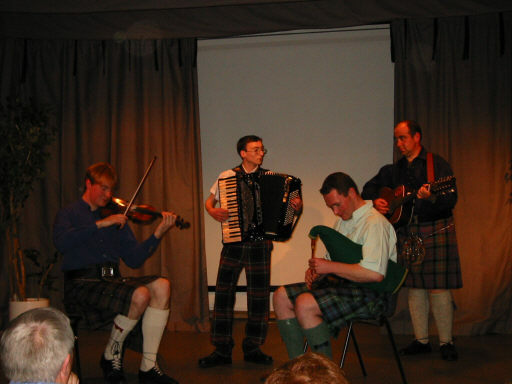 We went back to Portree and enjoyed a very nice traditional Scottish musical show for our evening. 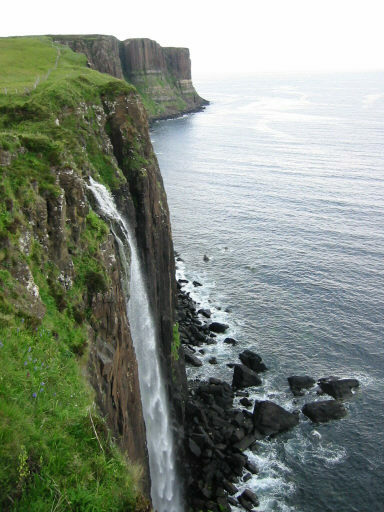 1) If you have time, you can also visit the western side of Skye. The coastline there is also great. 2) Cuillin Mountain in Skye attracts a lot of climbers every year. You can do a trek or climb if you are very keen and experienced enough. 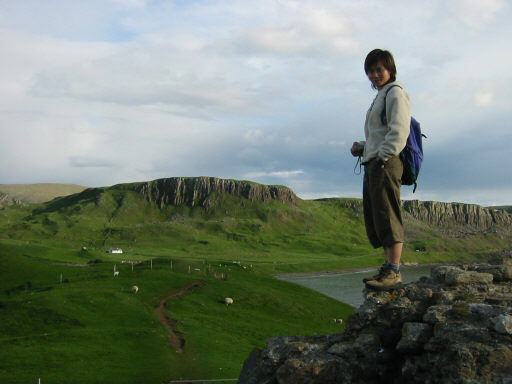 For an easier trek, you might consider going to Elgol (at the southern side of Skye) by postbus, then take a one-way boat trip (The boat company is called Bella Jane) to Lake Coruisk, then start your trekking towards Sligachan. 4) If you want further information, please feel free to make a discussion in the chat room of our website.